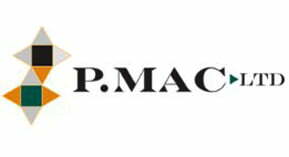 P Mac was called upon for advice on how to render a Jura Limestone floor nonslip with an anti-slip rating of R10. This is the minimum requirement for floors in public buildings. 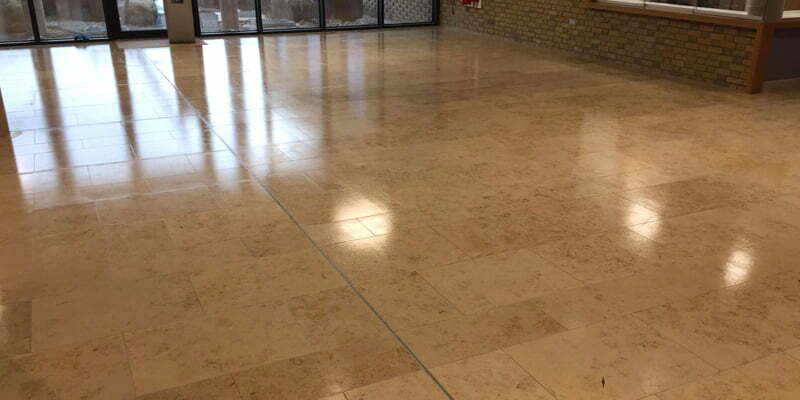 We have almost 20 years’ experience cleaning, restoring and sealing all types of stone and concrete surfaces. 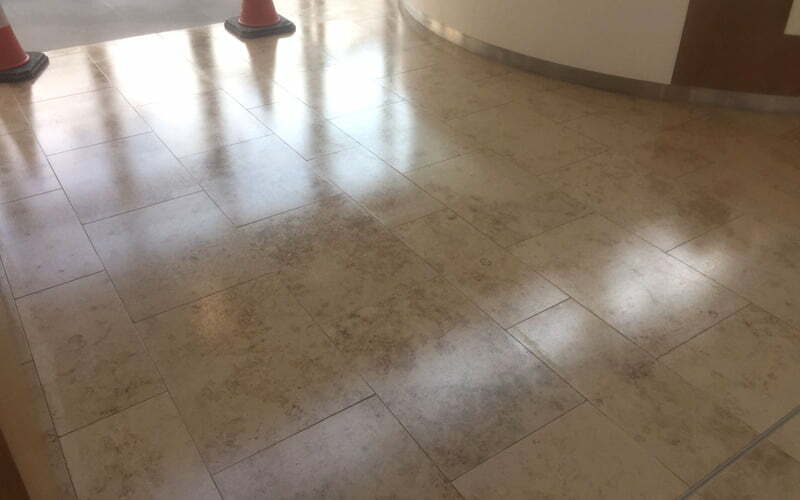 We are constantly researching products that will enable us to offer the best possible solutions for our clients, and to ensure we remain at the forefront of the stone cleaning and restoration industry in Ireland. We have sourced and used various anti-slip coatings in the past, which led us to work on developing our own anti-slip product. 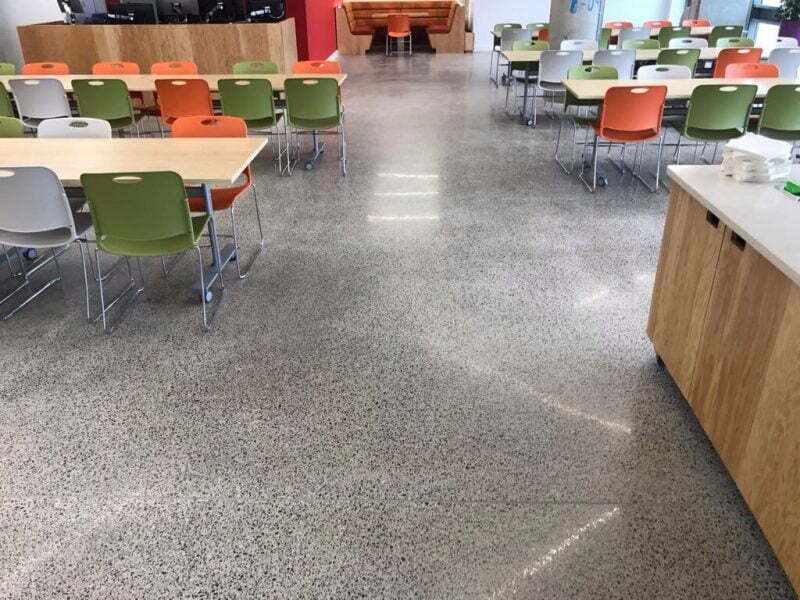 For the past few months, we have been working with an Irish chemical manufacturer to develop an anti-slip coating which would adhere to almost any floor surface and give it a slip resistance rating of R10. We carried out trials of the products on various floor finishes and extensive trials on the Jura Limestone tile in question. 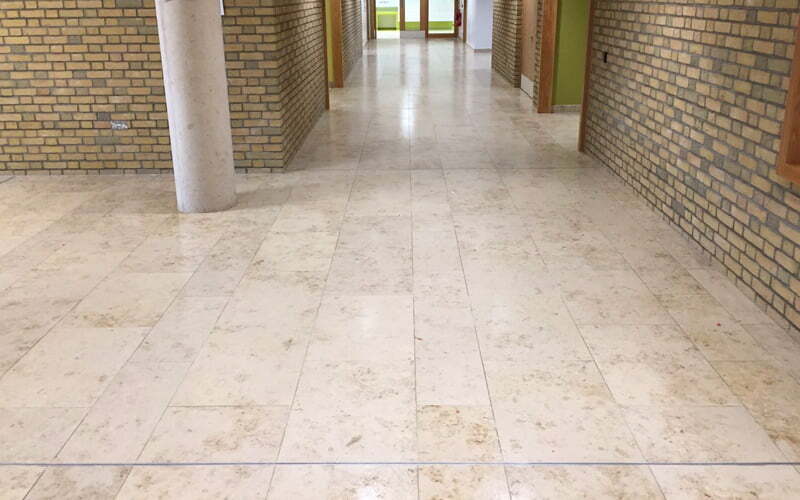 This tile was being laid in a new medical facility in Northern Ireland. Jura is renowned for its toughness and is the preferred choice of many architects in commercial/public settings. The anti-slip coating we developed will adhere to any stone, concrete or vinyl surface. It will protect the floor from stains, and the grit in the coating will give any of these surfaces an R10 rating. 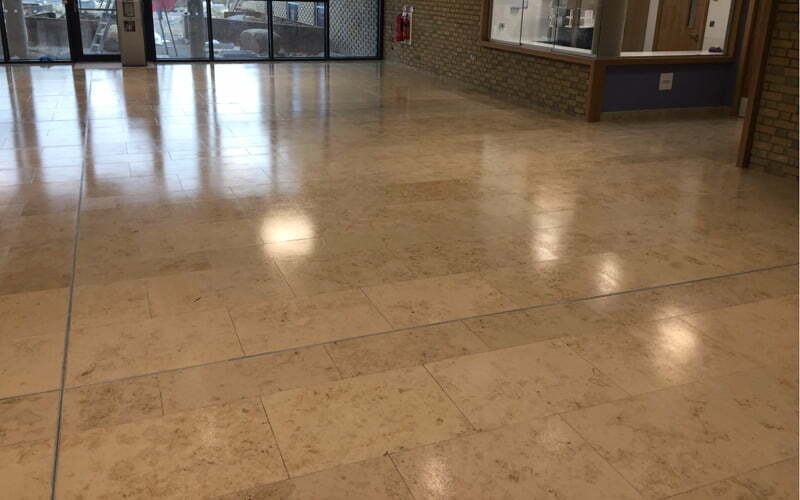 Once the coating passed all the slip rating tests, we applied it to our own marble floors in our Reception area. Here, the coating was subjected to heavy traffic, footfall, various chemicals and spills. 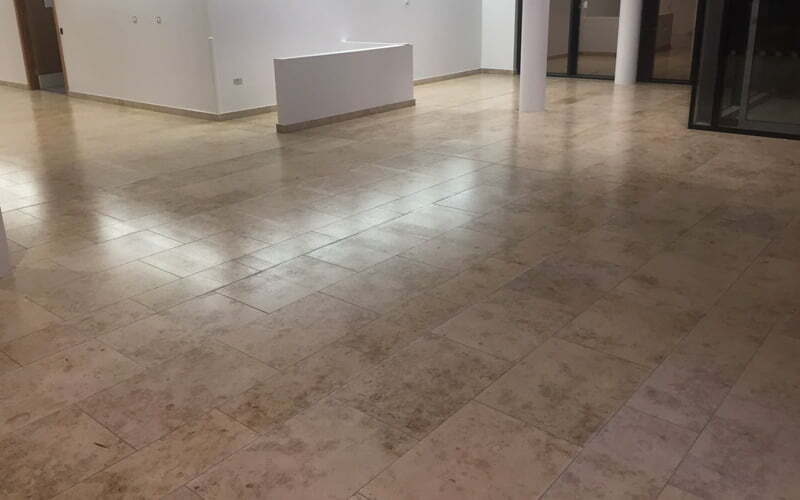 We showed the results to the architects, who approved the samples and gave us the go-ahead to apply the coating to the newly laid Jura Limestone floor at the facility in question. Work on the new medical facility had to be carried out during the night, as other works were taking place during the day. The tiles were recently laid so they just required a normal clean with Twister pads and stone soap. Once the floor was completely dry, the anti-slip coating was applied using a roller. There were 800 m2 in total to cover and it took our team three nights to complete. 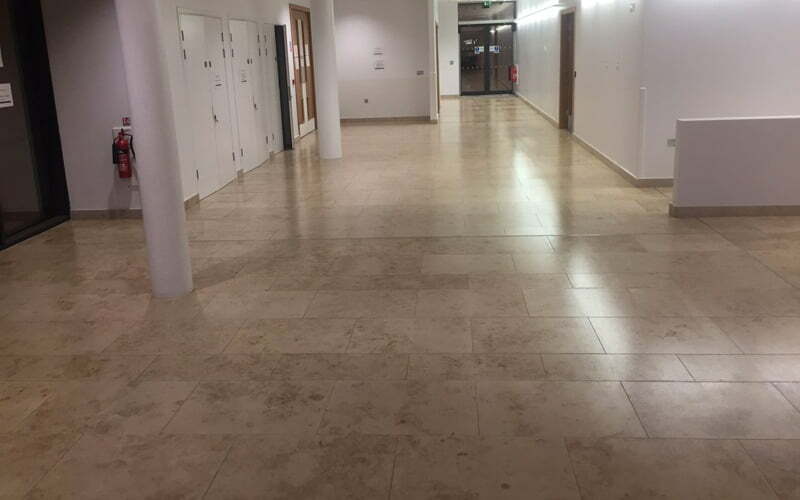 The results are stunning, the anti-slip coating gives the limestone floor a stunning gloss finish, with micro beads ensuring it has its necessary R10 slip rating. The coating has been age tested, but due to the heavy footfall this facility will endure we advise re-application in about five years’ time. The anti-slip coating is also designed to render the surface stain resistant and if the new owners adhere to our maintenance plan this floor should retain its lustre for half a decade. Dublin’s leading graffiti removal service What’s underfloor heating and how does it work?